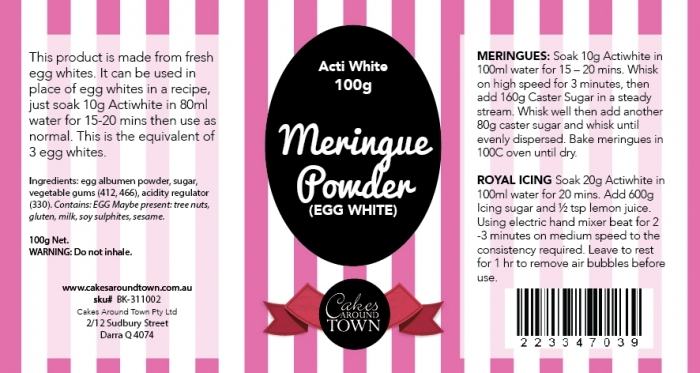 Acti White is used as a replacement for raw egg whites. Use in Meringues, royal icings etc. ACTIWHITE is manufactured from specially treated fresh hen egg whites. This special treatment eliminates the moisture attracting proteins and at the same time improves the whipping quality of the albumen resulting in fast whipping to full volume. 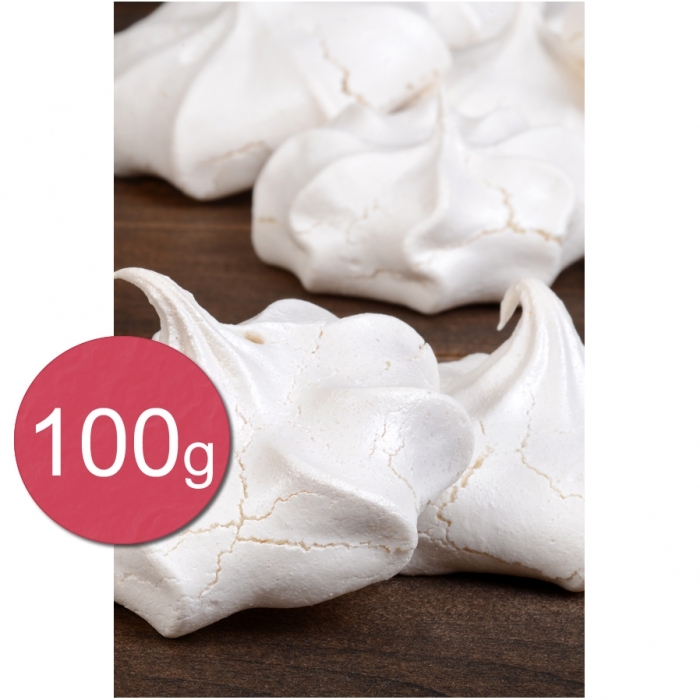 the resultant meringues are light and crisp and do not attract moisture. ACTIWHITE is a time proven product for Royal Icing and solves the problem of separating the white from the yolks and eliminates the problem of having to incorporate unwanted yolks into other recipes. ACTIWHITE may be used in most recipes that call for egg white and should be used at the rate of 50-60g (2-2½oz) per 500ml (1 pint) cold water of this purpose. 100gram net bottle. Made By Bakels. GST is not applicable on this product.